18-year-old, Karsyn Elledge is the daughter of Kelley Earnhardt Miller. That makes her the granddaughter of NASCAR legend Dale Earnhardt. Karsyn has been racing on dirt in and around the North Carolina area. In 2018, she branched out to competed in her first Chili Bowl race weekend along with a few other Dirt Midget events. 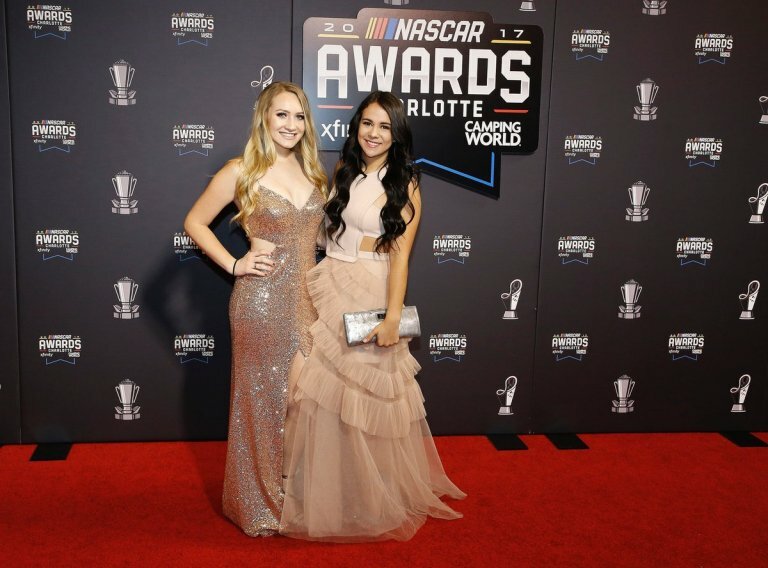 “She’s been racing dirt in the Mini-Outlaw karts around North Carolina,” Kelley Earnhardt Miller stated on her new show ‘Beyond Racing’ via Sirius XM NASCAR Radio. She’s now got backing from Brandt and more backing from TMC Transportation for 18 events. Additional sponsorship is coming from Nationwide Insurance and iRacing. Harrold Annett, the CEO of TMC Transportation owned the car that Sammy Swindell drove to 145 feature race wins. He was the owner of the Swindell machine between 1988-93. She will drive for the Tucker-Boat Motorsports team in the #1 machine. Her first race as a USAC National Midget driver begins tonight at Bubba Raceway Park in Ocala, Florida. The USAC National Midget Series hosts 35 night of racing throughout the year. “This is plan A for her. It’s not for momma. But, plan A for her is to be a race car driver. We talk about plan A and plan B all the time and the need for her college career to take her where maybe racing won’t,” Kelley Earnhardt Miller concluded.